Agora.io, the leading voice, video and live broadcasting platform, announced that it has closed $70 million in a Series C round of funding led by Coatue Management, a leading technology investor known for its investments in Uber, SnapChat, Box.com, Lime, DoorDash, and others. Existing investors SIG, Morningside and Shunwei Capital participated in the latest round, which brings Agora’s total capital raised to $125 million to date. 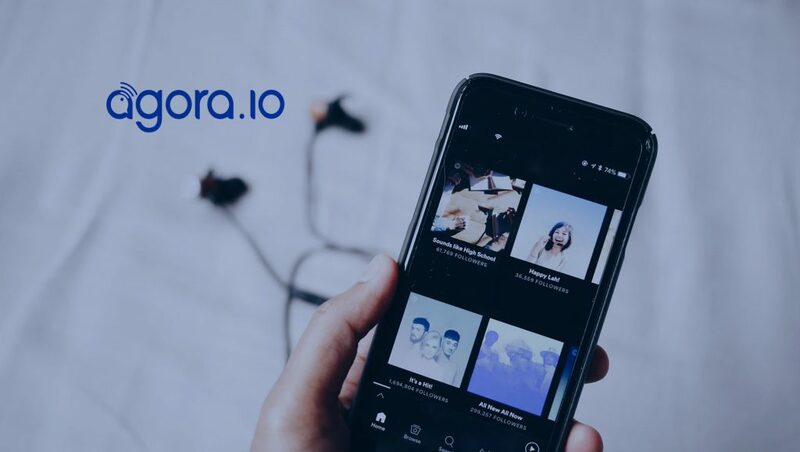 Founded in 2014 by Tony (Bin) Zhao, a founding engineer at WebEx Communications (acquired by Cisco) and former CTO of Chinese social media giant YY.com, Agora is the leading provider of real-time voice, video and live broadcasting solutions for web and mobile applications. The Series C round follows an explosive year for Agora as the company experiences unprecedented growth and gains significant market share with new product releases like the React Native SDK and Unity Support, a wave of seasoned management hires, and a series of new partnerships with global technology innovators. Accelerated by the proliferation of mobile and widespread Internet access across the globe, Agora is ushering in a new era of app-based communications with new opportunities for developers and businesses alike to introduce new layers of audience engagement. This past September, Agora passed two billion SDK installs, making it the most widely adopted RTC-based developer solution worldwide. Agora’s proprietary Software-Defined Real-Time Network (SD-RTN™) processes and routes an average of 10 billion minutes of live communications per month through 200 globally distributed data centers.